A few months ago, Remedy Entertainment’s creative director Sam Lake revealed that players will get to play Alan Wake 2 in the future. Nothing else has been said about this new entry of the series, but it looks like the team may be getting ready for a reveal. Earlier today a trademark for Alan Wake’s Return has been spotted on the European Office for Harmonization in the Internal Market website. The trademark has been filed two days ago, on February 23th, and it seems like they were in quite a hurry, considering it’s been registered through Fast Track. 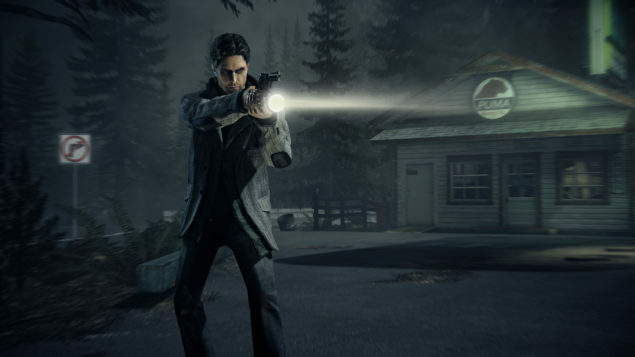 The name Alan Wake’s Return has been trademarked for games software, toys, and production of television features, among other things. With the latest game from the team, Quantum Break, going gold last week, it’s not surprising to see Remedy getting geared for their next project. Fans of Alan Wake have been waiting for quite some time to see their hero back in action, so it’s definitely the right time to reveal the next entry of the franchise. The original Alan Wake has been released back in 2010 on PC and Xbox 360. The game, which is a psychological survival horror game, combines intense and cinematic storytelling with player freedom. The game’s atmosphere still holds up after all these years, so it will be very interesting to see what Remedy can come up with using the current technology. Probably something very good, judging from the soon to be released Quantum Break. Quantum Break isn’t just going to be an excellent title, but also one that will push some boundaries forward. Earlier this month, it’s been confirmed that the game will be the first DirectX12 only title, and it will require a very powerful machine to run. Thankfully, it seems like the PC version will be just as good as the Xbox One release, as if not even more, as the team is putting a lot of effort into it.